The 2 young practitioners from Île de Ré gave a superb performance during the Viet Vo Dao Vietnamese Traditional Martial Arts French Technique Championship. The event took place at the Maison des Sports in Clermont Ferrand on March 30 and 31, 2019. Nina Delagrange took back her gold title as French champion in senior weapon techniques. She won double medals in the bare-handed competition the next day, bringing home the bronze and third place. Jade Poublanc, the young and talented pearl from Île de Ré, following in the footsteps of her martial art sister, won the silver medal and second place at the bare-handed competition in the junior category. She also won double medals in the weapon competition with a bronze medal and third place. Congratulations to these 2 young girls who have brought honor to the club of Île de Ré in this high-level national competition. They also honor the values of the club, the Thanh Long Truong Son school and their teachers who worked hard to build them up to champions. Thanks to the guidance of Jean-François Douay, the manager of Thanh Long Truong Son Île de Ré, and Mickael Saunot, who has been doing great work for the club’s performances and competition records since his appointment as the general manager. – The French Technique Cup and Children’s Combat will take place in Paris on May 18 and 19, 2019. 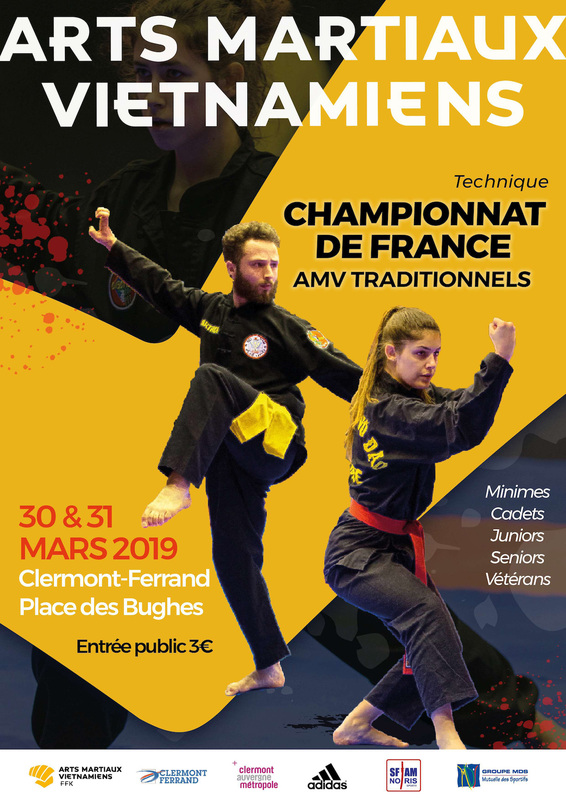 – The French Thanh Long Technique and Combat Cups for adults and children will take place in Clermont Ferrand on June 8 and 9, 2019. Check out more photos from the Photo Gallery.